Are You an EMS Student? Welcome to Youngsville Rescue & EMS! We are an all-volunteer rescue squad located in Youngsville, NC, near the Raleigh-Durham area. The volunteers of YRS provide emergency medical and rescue services to the citizens of the greater Youngsville area in Franklin County. The Youngsville Rescue Dive Team participates in water-borne recovery operations as needed. We are always looking for new members. Please check out our membership information under “Join YRS”. Are you an EMS student? Click here to learn more about the benefits of membership for EMS students. Youngsville Rescue & EMS was founded in 1973 in order to serve the community’s emergency medical needs. Training began in October of 1973. On March 12, 1974 the squad answered its first call, a motorcycle accident on Oak Level Road. We are a paramedic-level rescue squad, with members operating at Basic, Intermediate, and Paramedic levels. Our members staff ALS-level ambulances with Franklin County EMS paramedic staff on nights and weekends, operating as a full member of a two-person ambulance crew. 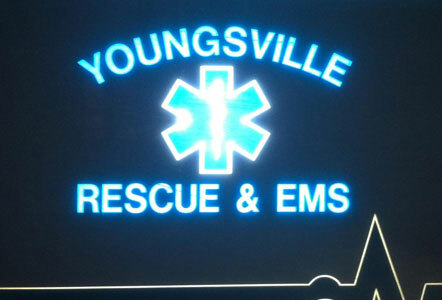 Youngsville Rescue members have extensive opportunity to provide patient care and operate in a progressive EMS system. Our training program ensures our members always have the latest knowledge and resources necessary provide high-quality emergency medical service to the community. Not only do we review core topics during con-ed, but also provide updates on the latest research, community needs, EMS trends, and in-service training on new protocols and equipment. 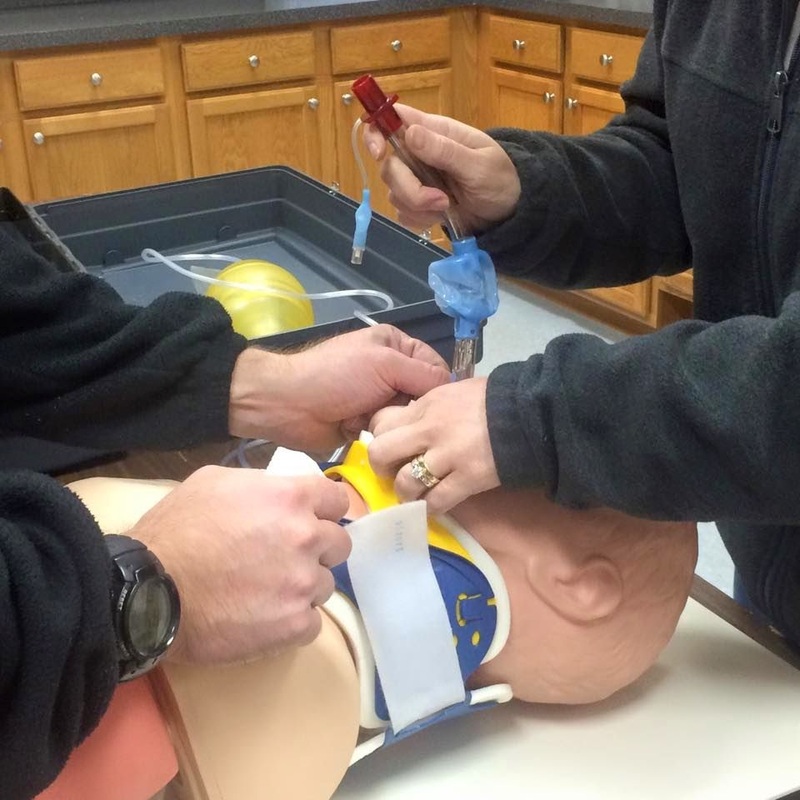 Youngsville Rescue & EMS provides our own in-house training for rescue members. Our continuing education sessions are open to all members of the Franklin County Emergency Services departments, including Police, Fire, EMS and Rescue. The Youngsville Rescue and EMS Training Officer, Candice Ryan-Supples, is a paramedic and registered nurse with eight years of experience in EMS education. 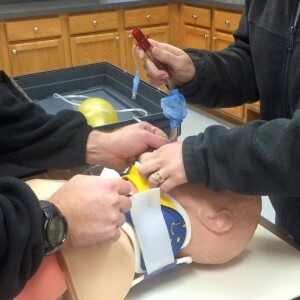 She is credentialed by the NC Office of EMS as an EMS instructor and leads monthly con-ed sessions as well as the new member on-boarding process.